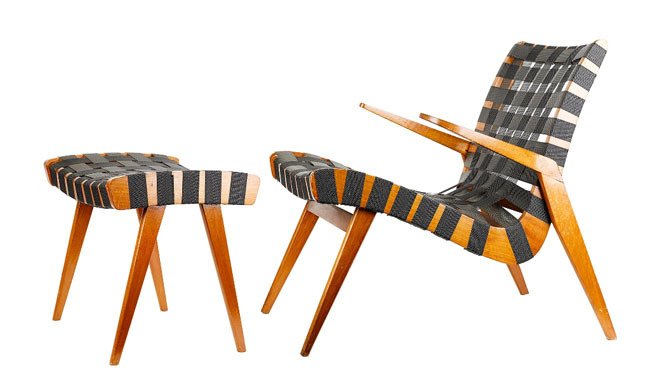 Pioneers of the midcentury Australian Furniture Industry. In the lead up to Australia Day 2016, we’re paying homage to some of the most influential Australian furniture designers from the mid-century era. 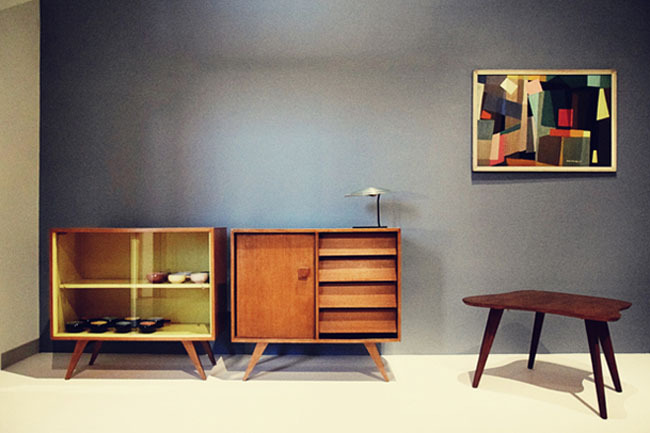 These designers were pioneers of the furniture industry, redirecting the spirit of inventive vigour from the war years towards a new goal, a modernist dream to improve lives through good design. These designers all possessed a common set of characteristics, a mid-20th century optimism, imagination, inspiration and altruism. Along with the shifts in domestic manufacturing from the 40s through to the 70s, these designers sought to produce furniture for the comfort of any Australian. While most of these designs are now reproduced with only a few still in production today, the originals are now highly desired collectors items that have outlived the market they were made for to become staple Australian classics. This couple from Melbourne were a powerhouse of Australian design with a career spanning from the late 40s with the Relaxation Series all the way through to the early 70s with the Obo Range. Though, the cornerstone of the Featherston legacy is the early 50s Contour Series. This collection of chairs, footstools and sofas were made of Plywood, horsehair, wadding, rubber, upholstery fabric and hardwood. 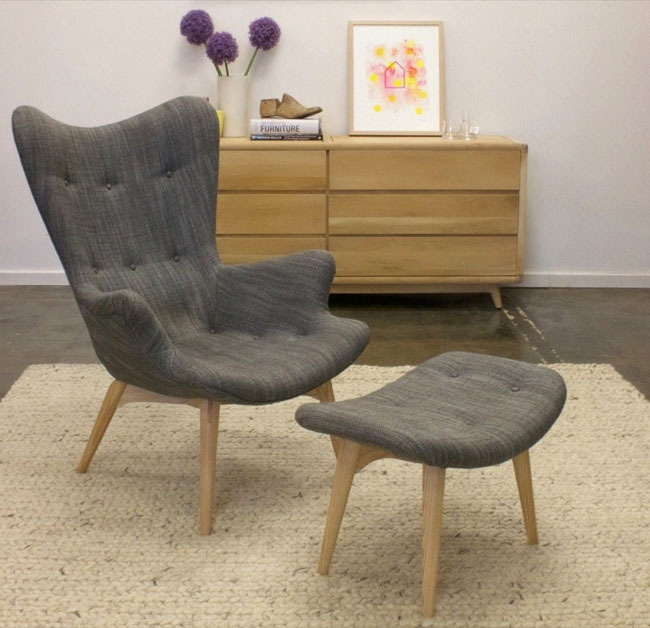 This collection, most notably the R160 Contour chair, is an icon of Australian furniture design and displays Grant Featherston’s fascination with nature through its tapered legs and organic shape. A stroke of genius that made use of post-war artefacts and innovations. It is made from a single sheet of plywood bend into a cone shape and balanced on 4 black steel rod legs. Advancements in glues and the bending of timber were fundamental in the production of war aircraft. However, after the war, designers around the world saw the potential to utilise these advancements for the production of new and radical furniture designs. McLay was one of the first to take advantage of surplus post-war materials in Australia. 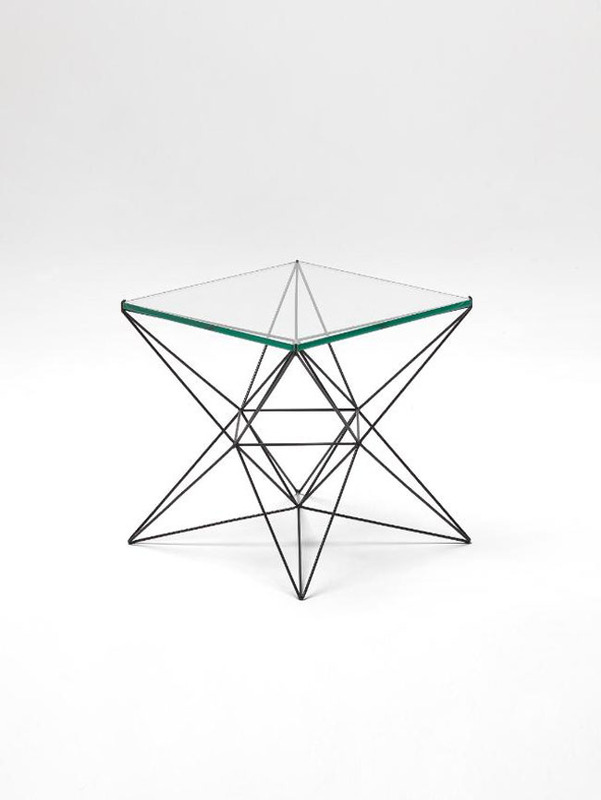 Meadmore was a forerunner of modern wire and string furniture designs that have become a fixture in modern interior and exterior furniture and lighting design. He was a modernist sculptor and abstract expressionist that broke many conservative design barriers. There is a large collection of rare pieces including some of Meadmore’s at Sydney’s Powerhouse Museum alongside pieces from Featherston, Fred Lowen and Francis Burke. 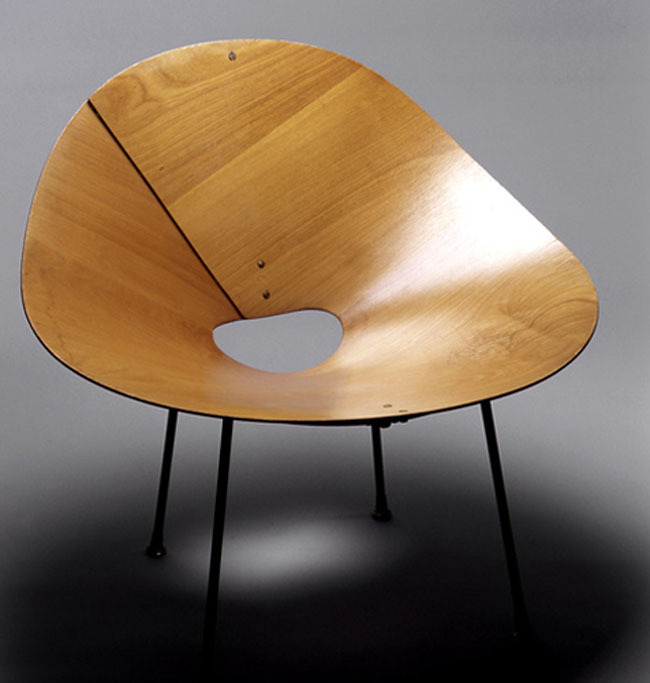 These are some of the innovative designers attributed to Meadmore, including the Sling Chair that showcases at MOMA. Snelling’s most respected pieces, the chairs and two-seater sofas of the Snelling Line, were uncovered by upholstery or fabric. The backs and seats were formed by nailing interwoven strips of wide cotton or synthetic ‘parachute’ webbing to the frames. His designs exposed what would have been a construction element normally concealed under thick layers of padding by traditional upholsterers. His cabinet designs were referred to as a ‘series of multi-purpose interchangeable storage units scaled to the human form’. These are widely recognised today as retro in design with four angled legs and hinged cabinet doors with square handles. Gordon Andrews is arguably the most well known Australian designer in the mid-20th century. He designed Australia’s decimal currency notes, jewellery, fabrics, offices, sculptures and furniture. 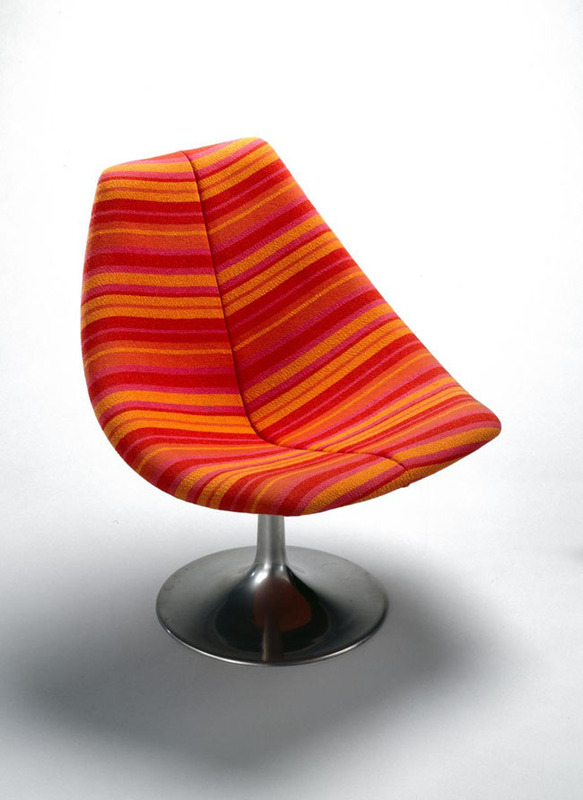 His best-known design, the Rondo Chair, was a labour intensive feat, made from a fiberglass or plywood shell, spun aluminium base and almost always upholstered in the retro 60s orange. 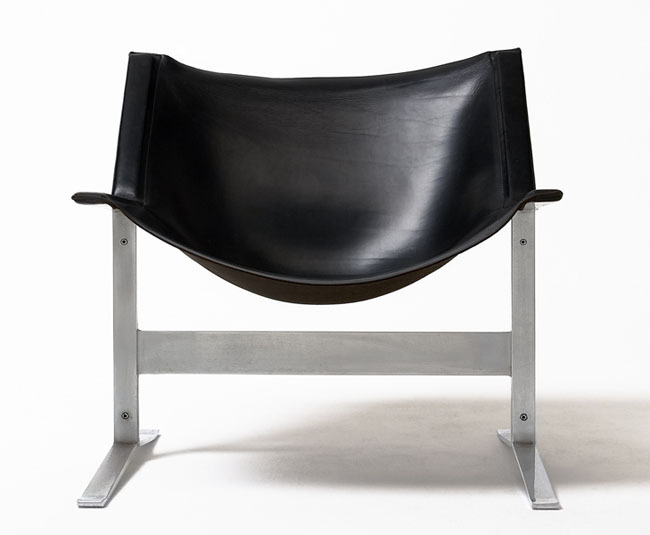 The Rondo Chair made a resurgence when it was manufactured again in Sydney for a brief time between 2001-2005. Visit our collection of Aussie made and Aussie styled furniture to celebrate the local industry this Australia Day!